Registered Exporter system (the REX system) is the system of certification of origin of goods that applies in the Generalized System of Preference (GSP) of the European Union since 1st January 2017. It is based on a principle of self-certification by exporters who will make out themselves so-called statements on origin. To be entitled to make out a statement on origin, an exporter needs to be registered in the REX system and to have a valid registration. Sri Lanka has agreed to implement the REX system from 01 January 2018. Therefore, the exporters who are willing to register in the REX System are requested to follow the following instruction for completion of the online application for registration. 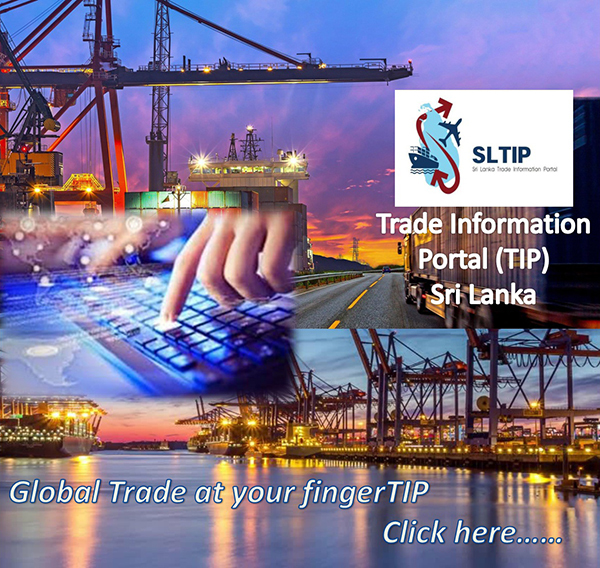 Complete the Pre-application through (https://conformance.customs.ec.europa.eu/rex-pa-ui/)- The submission of application by Sri Lankan companies will be allowed only after 1st of January 2018. Please note: When the Pre-application (online) is completed, in the space provided for TIN should be completed in entering the TIN number issued to your company by the Department of Island Revenue beginning with letters LK without hyphen. The rules of determining the origin of good in the EU GSP scheme remain unchanged with the application of the REX System. The exporters who complete online applications will not become a registered exporter until the Department of Commerce activate the registration of the exporter under the REX after scrutinizing the details and information provided by the exporter and verifying the eligibility of the products for the EU GSP facility that the exporters make self-statements on origin. A SoO shall be made out for each consignment and will be valid for 12 months from the date on which it is made out. Exporters should maintain records of shipment for which they make self-certifications at least for 3 years, in case if the Department as the monitoring body receive self-certification made by the exporters for post verification, to reply the EU authorities. Exporters have 12 months period of time from 1st January, 2018 to become a registered exporter under the REX system. Until 31 December 2018, the Department of Commerce continue to issue certificates of origin Form A at the request of exporters who have not yet been registered in the REX system. If a registered exporter wishes to make any changes, amendments etc. to the registration, such alterations are allowed only through the Department of Commerce in making a written request. All changes are subject to prior- approval from the Department of Commerce. However, unregistered exporters are allowed to make out statements on origin without a REX number for consignments of originating goods having a value which is below 6 000 EUR. Contact for more information and clarifications.